At the ZTE event held in Barcelona just before the official opening of the Mobile World Congress, the Chinese company launched its new mid-range smartphone, The ZTE Blade V9. We’ve had the opportunity to get to know the device, and so far the new Blade has given a great first impression. The ZTE Blade V9 has an 18:9 display that doesn’t follow the fashion of rounded corners, and instead has remained in the classic rectangular shape. The frames around the display have been reduced as much as possible to achieve a remarkable 83.6% body to the display ratio (compared to 80.6% on the Honor 7X and a meager 69.3% on the iPhone 8 Plus). What is most striking is the size of the side bezels, which have been reduced to just 2.9 mm. As a result, the smartphone in your hand is comfortable even if it gives the impression of being slightly longer than the competition because of these extreme bezels. The panel is a beautiful 5.7-inch LCD with Incell technology and FullHD+ resolution (2160 x 1080 pixels). This means that the hardware responsible for managing the touch input is integrated into the LCD itself, removing the need for an additional layer over it. The ZTE Blade V9 has a modern design that is now common to many devices. A metal structure with curved edges to facilitate grip and ensure design continuity with the two glass panels that enclose the device hardware. ZTE’s 2.5D glass has a curvature that is only hinted at and barely noticeable at a casual glance. The device is really comfortable in your hand. Although the Blade V9 also looks very solid at first glance and the construction is good, keep in mind that the two panels are made of glass (the type is not specified by the company) so don’t expect it to survive hard falls. The smartphone has a SoC Qualcomm Snapdragon 450 consisting of eight ARM Cortex-A53 cores at 1.8GHz. The CPU is a classic 8-core unit. It isn’t composed of two different quad-core clusters, so there aren’t two sub-units specializing in simple or high performance processes, as we have usually found in smartphones in recent years. The ZTE Blade V9 is available for purchase in three different variants that differ in the quantity of RAM and internal memory, which in any case can be expanded with a microSD up to 256 GB. The version we tried is the version with 3 GB of RAM and 32GB of internal memory but there is also a cheaper model with 2 GB of RAM and 16 GB of storage and a more expensive one with 4 GB of RAM and 64 GB of memory. It also includes a 3.5 mm headphone jack, but the charging port is still a microUSB Type 2.0. “Picture perfect dual camera” – this is how ZTE presents Blade V9’s photographic capability. Given the price range we do not expect miracles but on paper the smartphone seems to promise much and keeps up with the competition. The main photographic compartment consists of two sensors, one with 16 MP and one with 5 MP, both with 6-component lenses for less distortion and better performance. Only the 16 MP camera has PDAF 2.0 autofocus, while the second camera has fixed focus and is only used for shooting with bokeh effect and portrait mode (yes, because they are two separate modes in the ZTE Camera software). The front camera is 13 MP and has fixed focus. The biggest surprise of all is in the software. The Android version is 8.1 Oreo with the January 2018 security patches. 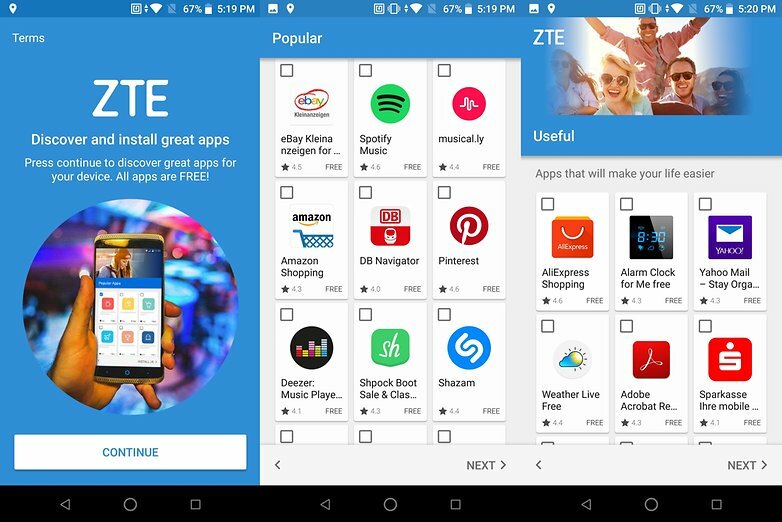 The ZTE interface is called Stock+ for one reason: we don’t find any major changes to Android in appearance but only in functionality, which is always very welcome! The added features include unlocking with face recognition, fingerprint reader gestures and certainly many more that I haven’t yet had the opportunity to discover. At first glance, it seems to have a latest generation Pixel or Nokia in your hands, given the cleanliness of the software. It will be my duty to check in the full review whether the added features are useful, and more importantly, well-implemented. Read Also: Will Genesis-mining And Bitconnect Platforms Last Forever? Read! The battery has 3,200 mAh, which will get you through the day. I also have to add that I’m extremely satisfied with it. Not only does it have more capacity than the Galaxy S9’s battery, but the lower-power SoC also enables plenty of autonomy. With normal use (accounting for the non-use at work) you can safely reach two days of autonomy, perhaps even three if you’re thrifty. The situation is different if you’re a gamer and pushing the SoC to its limits: in this case you can still get to the evening, but it’s better to recharge your smartphone at night, so it won’t completely drain until the next day. ZTE will fight in a price range full of competition. The version of the 3 GB/32 GB smartphone we tried and tested will cost 269 euros, which is equivalent to about $331. The company is preparing to launch the smartphone as early as March and seeks to enter into agreements with carriers for more widespread distribution. At the moment, ZTE does not plan to release the Blade V9 in the US, though fans of the brand may be keen to import it. The price is the line with the competition of Honor/Huawei, LG and Sony smartphones and the features are quite promising. The performance isn’t top-range, but is still above average from what you can expect for the the amount you spend. The 18:9 display and dual camera are noteworthy, and the elegant design and compact size make it attractive. If you’re considering buying this smartphone, there’s no reason not to purchase it, but there’s also nothing about the ZTE that makes it a best buy. It offers good value for money, and you’ll be getting your money’s worth, but nothing more and nothing less. But let’s here what you think! Are you tempted by the ZTE Blade V9? Does it deserve a US release?